We have many different solutions for the Agriculture Industry, and you can take advantage of all of them. Our two-way radios are perfect for instant communication between farmhands, allowing them to respond to situations quickly. We also have vehicle radios that can be installed and used on tractors or any large farm equipment. And if you have large acreage or multiple fields with distance between them, we have repeater system solutions that will work to connect all your locations to one communication system. What do all of these solutions mean to you? They save you time and money! 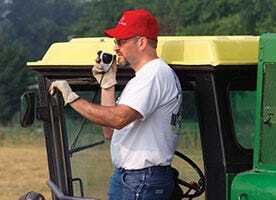 Our two-way radio solutions in agriculture, means higher productivity, lower operating costs, and avoiding costly delays. They can be used throughout the entire farming process. From planting to harvesting to shipping, our rugged two-way radios will be there to give you the communication system your business deserves.